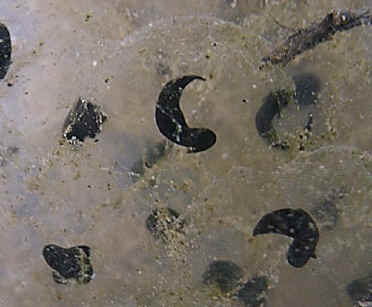 19th March - The tadpoles begin to emerge from the eggs. The head and tail are now quite distinct and the gills are visible protruding from either side of the head. The gills are used to extract oxygen from the water during the first part of the tadpole's life.